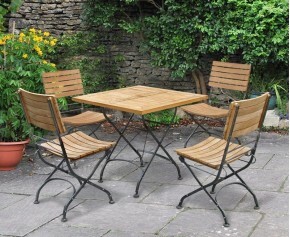 A timeless classic, this garden gateleg table and chairs set is stylish, solid, functional and represents brilliant value for money. 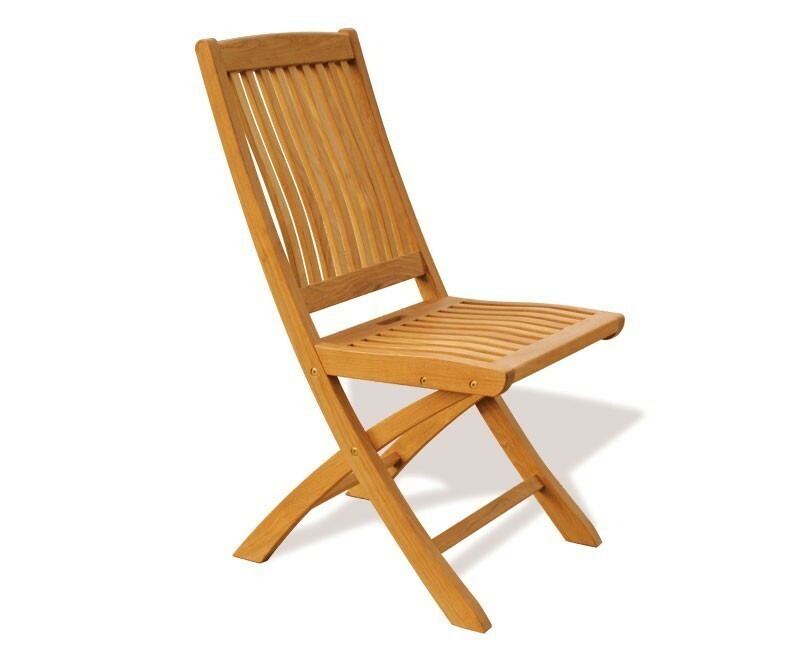 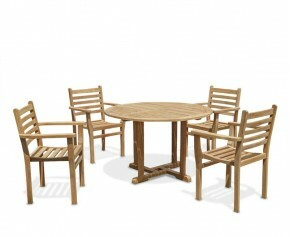 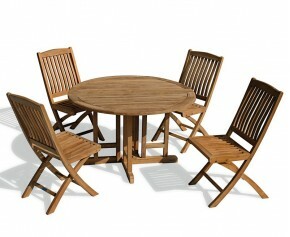 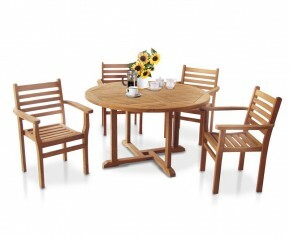 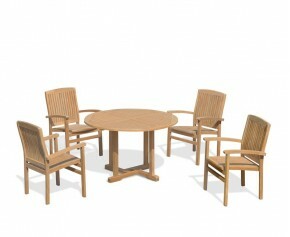 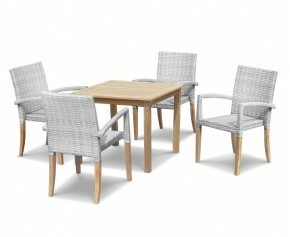 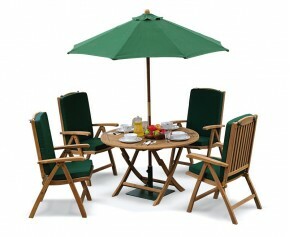 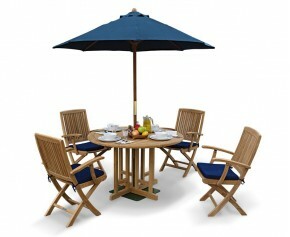 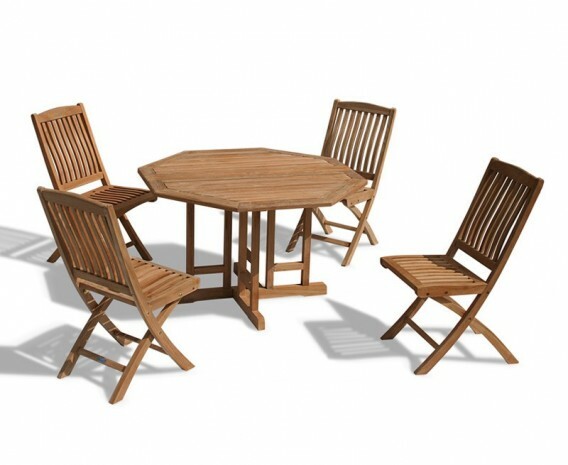 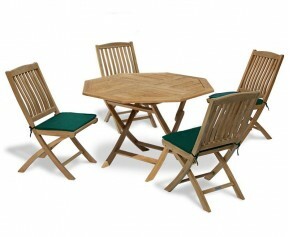 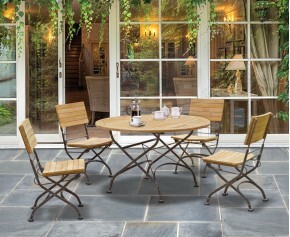 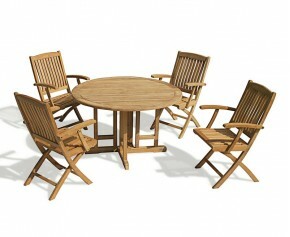 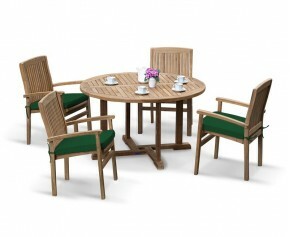 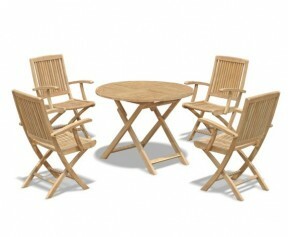 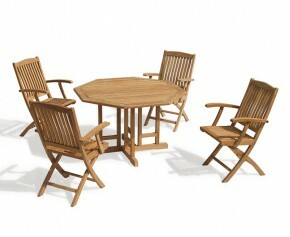 Manufactured by experts in plantation grown, genuine grade-A teak for lifelong durability and aesthetic appeal, this garden gateleg table and chairs set can remain outdoors all year round with minimal maintenance - ensuring fruitful use for years to come. 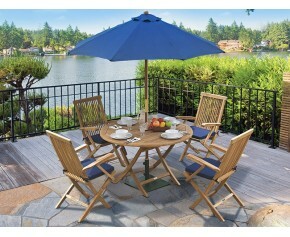 Modestly sized to suit most outdoor spaces, this patio outdoor drop leaf table and folding chairs set is perfect as a space saving dining solution. 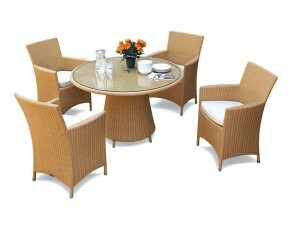 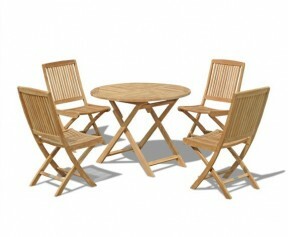 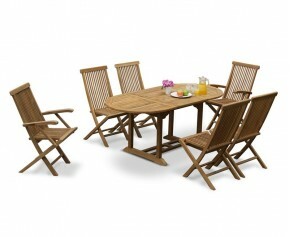 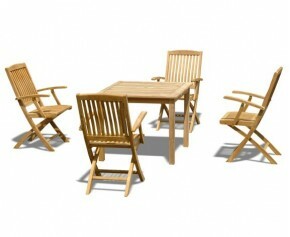 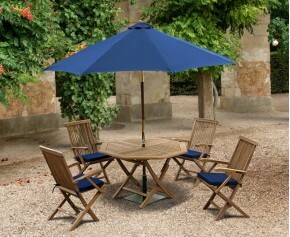 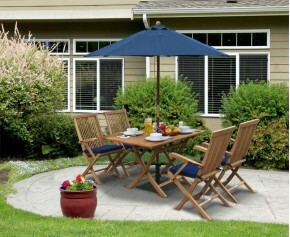 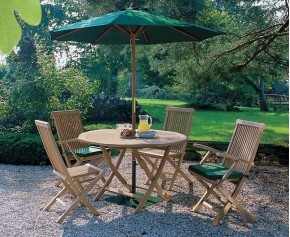 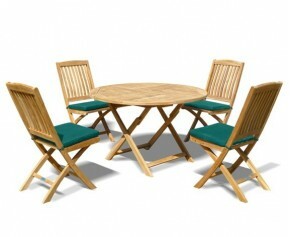 The leaves can be folded to adjust the table size according to your needs. 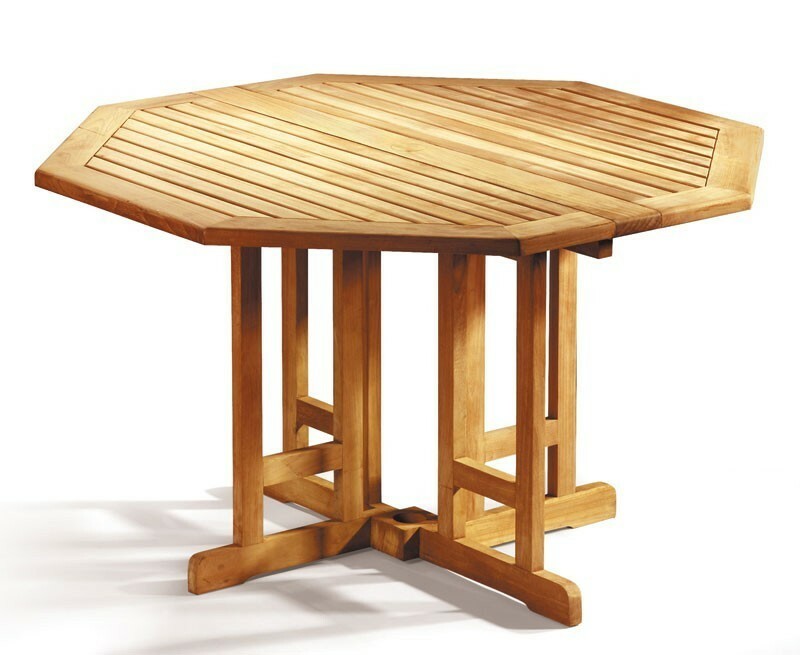 In addition this stunning patio outdoor drop leaf table and folding chairs set has been finely sanded and offers a 'smooth to the touch' finish. 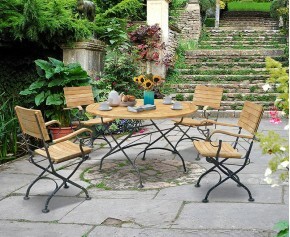 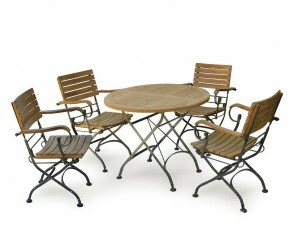 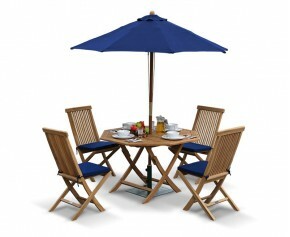 This Berrington garden gateleg table and chairs set - patio outdoor drop leaf table and folding chairs set will be delivered fully assembled for your immediate enjoyment.